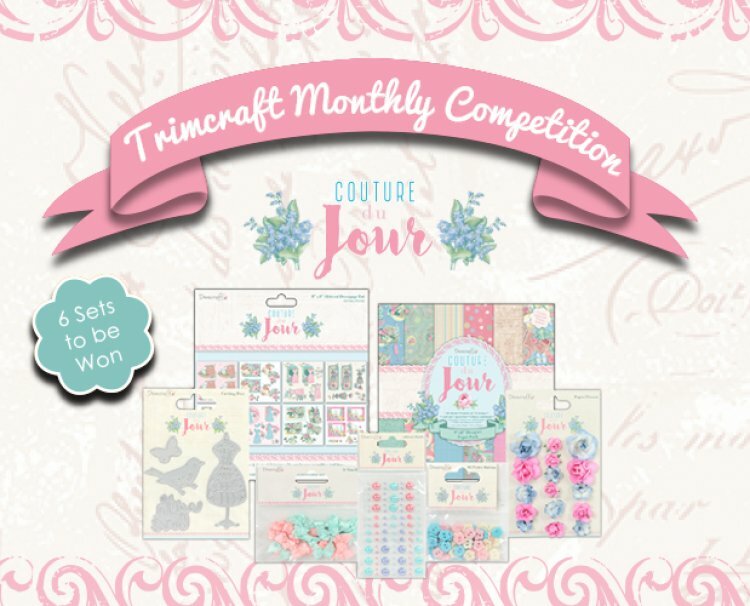 This month we are giving six crafters the chance to win their own Dovecraft Couture du Jour collection of goodies! Intrigued? We thought you might be! Tailor each handmade project with this charming selection of designs! Flourished with fashionable imagery and beautiful vintage illustrations, this collection is a dream to work with. To coordinate with the stylish selection of papers, each bundle includes paper flowers, buttons, bows, a decoupage pad and a pack of die cuts to help you achieve the perfect finish. This collection would be a wonderful selection to have for the new year and with the variety of designs on offer, you’ll be able to craft for any occasion! Would you like your own set to craft with? To ENTER, simply log in and press the button that reads, Enter this Competition! This giveaway will close on the 31st December so make sure you enter for a chance to win this fabulous Couture du Jour collection, Good luck everyone! WINNERS WILL NOT BE ANNOUNCED UNTIL THE 5th JANUARY 2017.